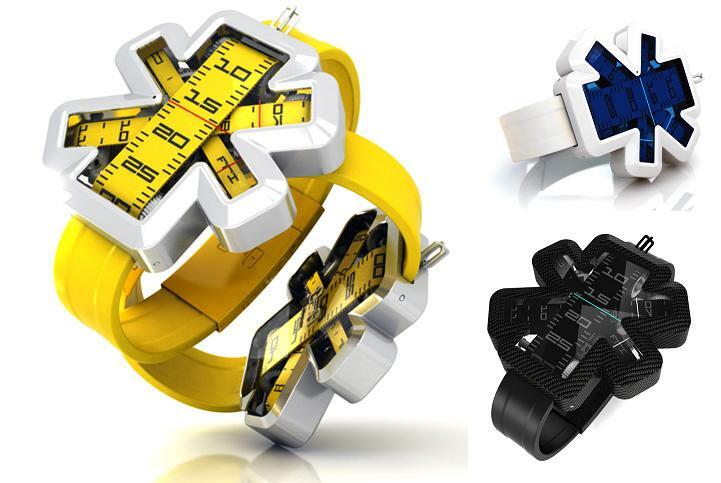 Collection of "Creative Measurements Inspired Products and Designs" from all over the world. Ora Watch Concept: An unusual watch design by Alexandros Stasinopoulos; it comes with three interwoven measuring tapes that move across the face to indicate the hour, minute and day. 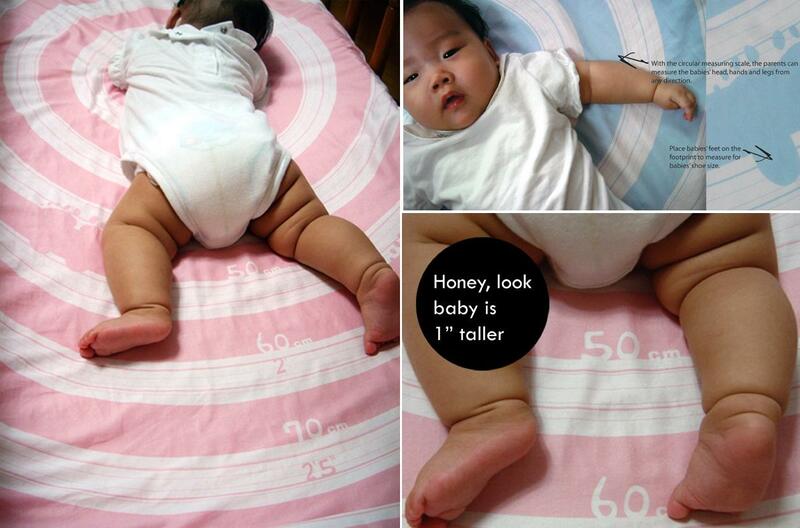 Baby Measuring Crib Fitted Sheet: This baby friendly crib fitted sheet comes with graphics of accurate measuring scale that makes easy marking your baby's growth progress. Measuring Towels: Designers Changduk Kim and Jinsoo Jeon's practical design lets you to keep track of your waist. Measuring Tape Calendar: A creative design by Japanese designer Hiroyuki Miyake; it features a measuring tape that doubles up as a calendar. 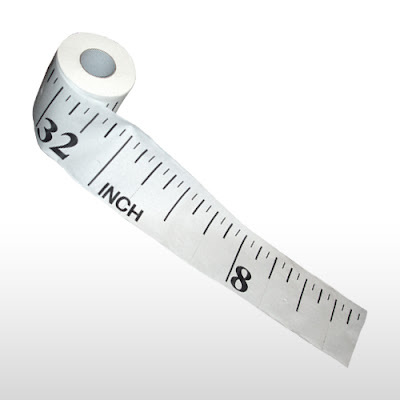 Ruler Toilet Paper: If your roommate recently told you that you use too much toilet paper, then this awesome ruler toilet paper is for you. 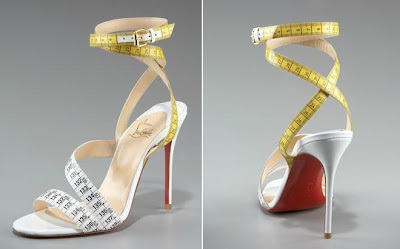 It has measurements printed throughout, so you don't have to worry if you are using too much or not. 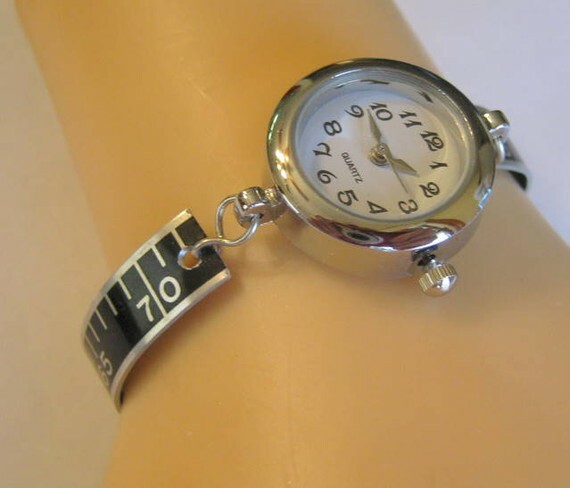 Bracelet Watch: It's made from the ruler of an antique typewriter. 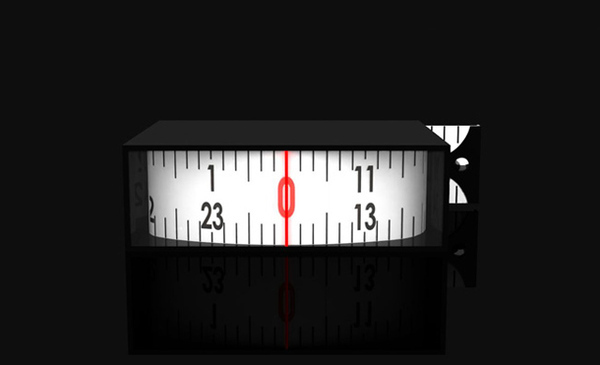 Measure Wall Clock Concept: This wall clock takes its inspiration from measuring tape rotation and shows the time just like a measuring tape on a scale of 0 to 23. 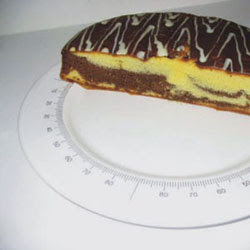 Cake Plate: With this plate all will get equal slices of cake or cheese. Measuring Tape Sandals: The straps' print mimic the measuring tape, creation of French designer C Louboutin. 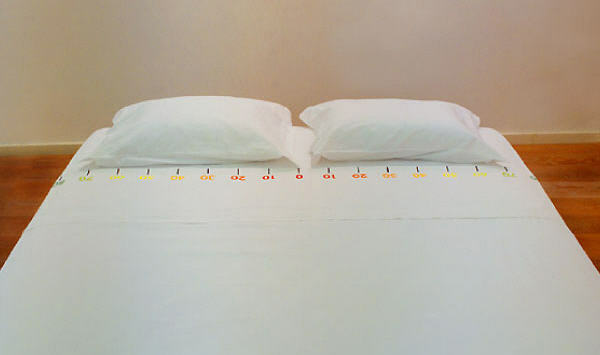 Ruler Bed Sheets: It comes with a ruler printed right on the sheet with the numbers rising outwards towards the cold colors. 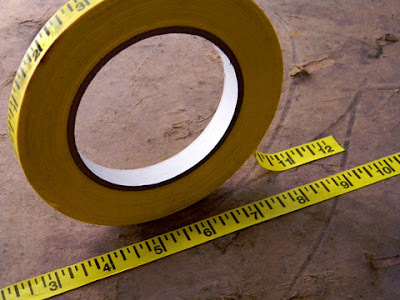 Measuring Tape Tape: It's a sticky tape printed with measuring tape markings. 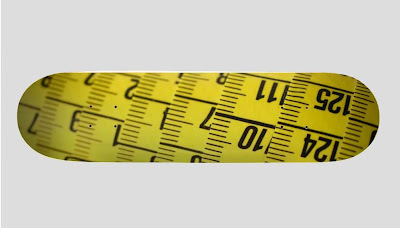 Measuring Tape Skateboard: A cool skateboard comes with measuring tape design.